Filmmakers go back and alter their movies in new director’s cuts for any number of reasons, from bolstering characterizations to clarifying plot points. 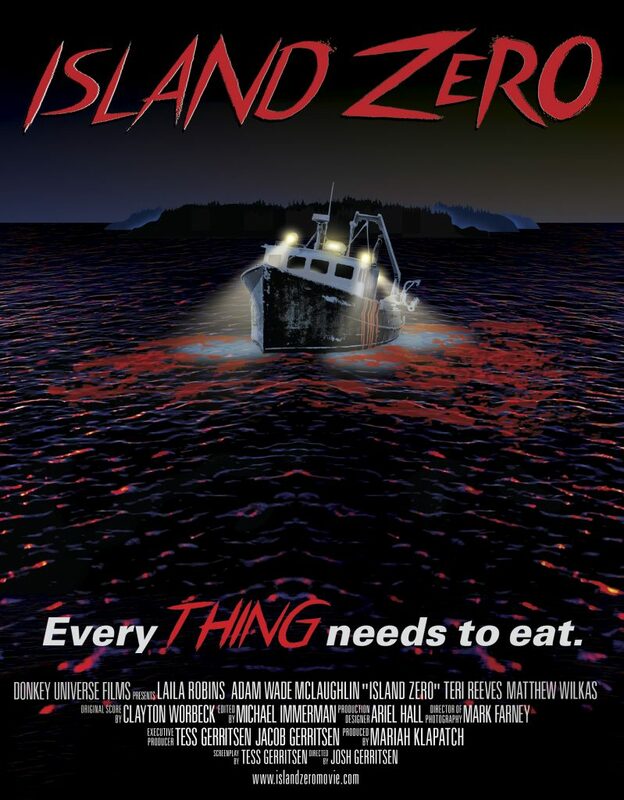 Last year’s chiller ISLAND ZERO, however, has now been updated to save a dog’s life. Facing negative reaction to Henry’s demise since ZERO’s initial release, the writer and her son, director Josh Gerritsen, opted to go back and shoot a new introductory scene, in which a human victim (played by Kelly McAndrew) replaces the pooch. This new edition is now on iTunes and Amazon, and will be on other streaming services like Google Play, YouTube and Vulu soon (so if you want to catch the original cut, better do it quick! ), as well as the new DVD and Blu-ray releases. You can read Gerritsen’s complete post about the reshoot here, and get a quick glimpse of Henry in the original trailer below.